The manifesto is our starting point for how we will shape our work, engage with partners and measure our success. Unlike most strategy documents our manifesto comes in two parts (click on the images below to download). Part 1 includes our vision, mission statement and a summary of our aims. Part 2 looks in more detail at why natural capital is so valuable to us, from supporting our society and economy to maintaining our precious landscapes and our health. In addition Tony Juniper gives his view on why Wild Anglia offers a new opportunity to rebuild our natural resources. 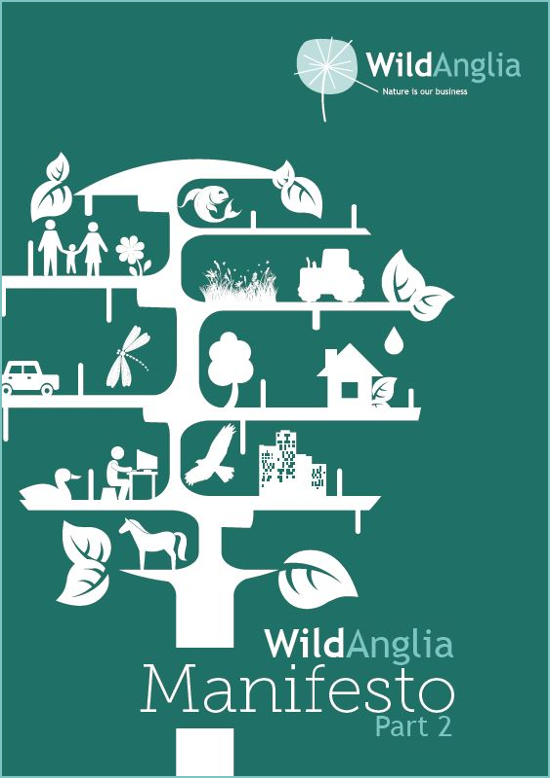 For more information head over to our channel and take a look at our manifesto’s launch video to see what Wild Anglia is all about. 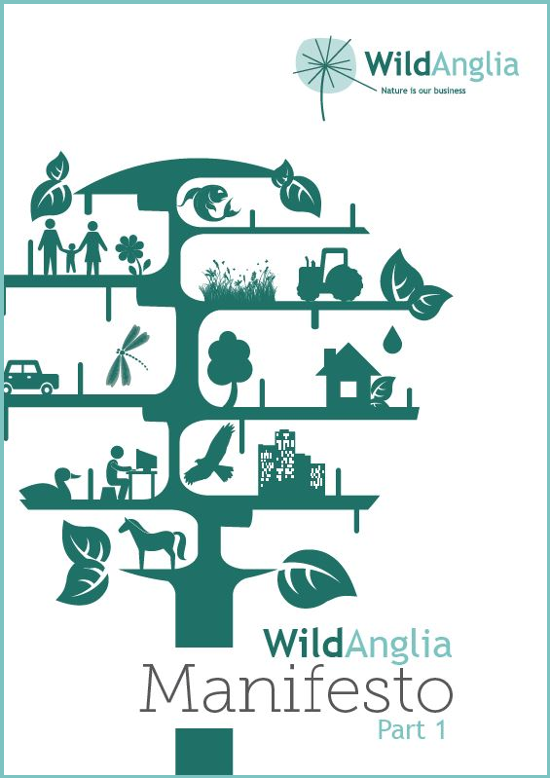 If you would like to know more about us and our work then please get in touch with a board member who will be very happy to discuss our work and how you can support Wild Anglia.